At Drawing Booth, we know well the power of the handwritten or hand-illustrated as an increasingly more meaningful way to communicate in the era email and text. 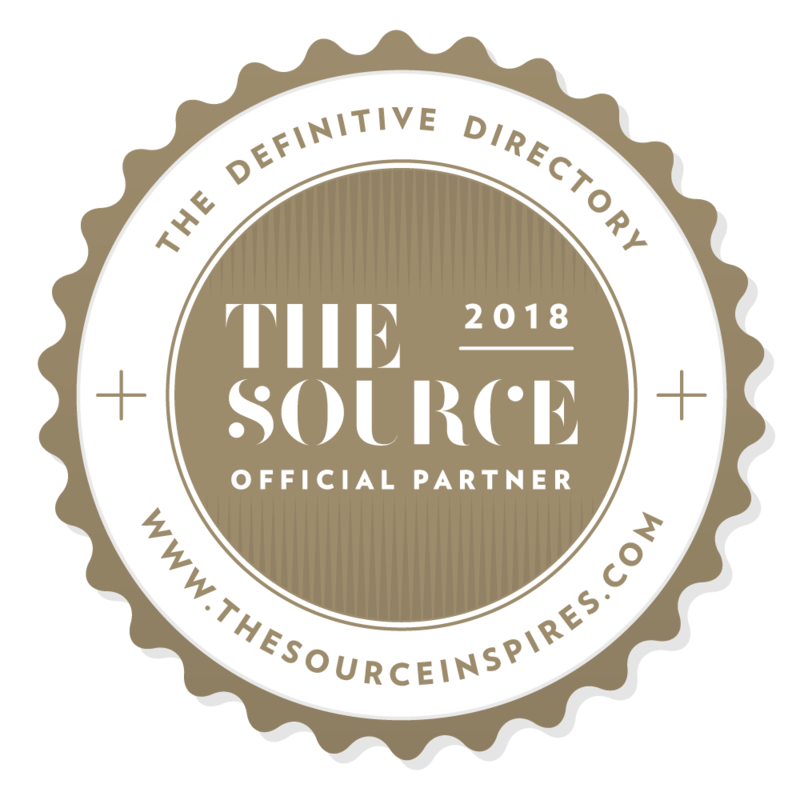 This year, in collaboration with Improv Everywhere and Hallmark, we helped bring in the holiday cheer a little early with the warm and personal touch of the hand-written note, but with an exciting twist. 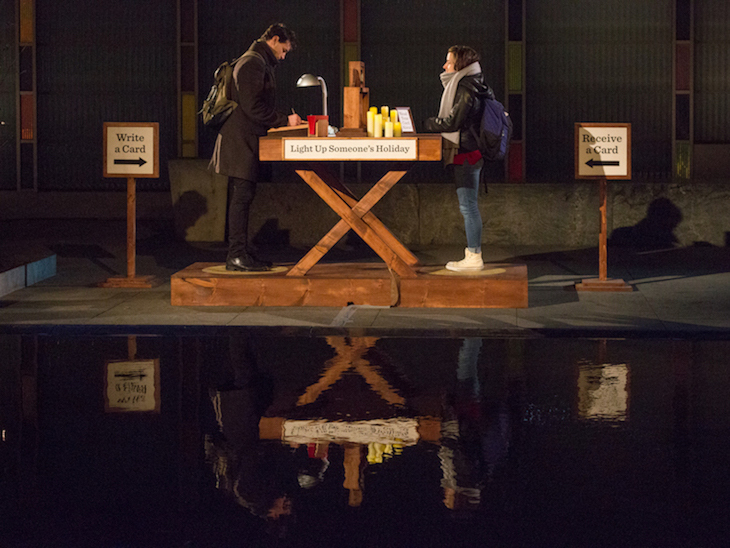 Improv Everywhere created a pop-up installation in Manhattan’s Big Screen Plaza, that enabled New Yorkers to instantly deliver a Hallmark Signature Card to their nearest and dearest. 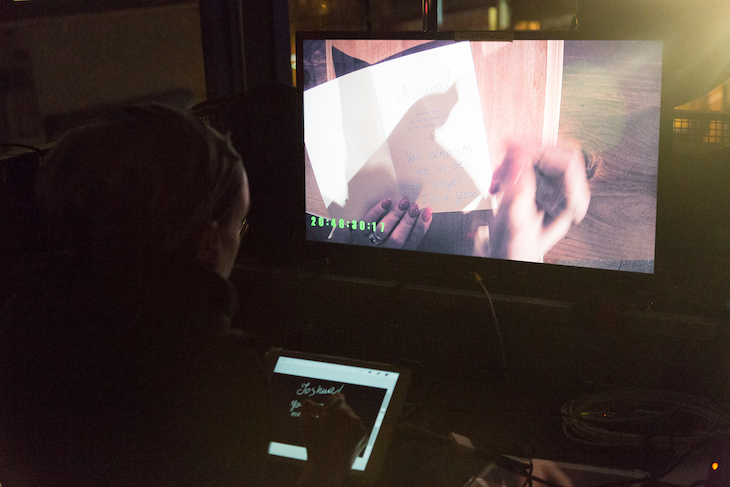 With the help of some hidden cameras and Drawing Booth’s founder Elke Sudin, the real surprise came when the writers’ messages were displayed on a 30-foot wide screen overhead in the card writer’s own handwriting! How was it done? 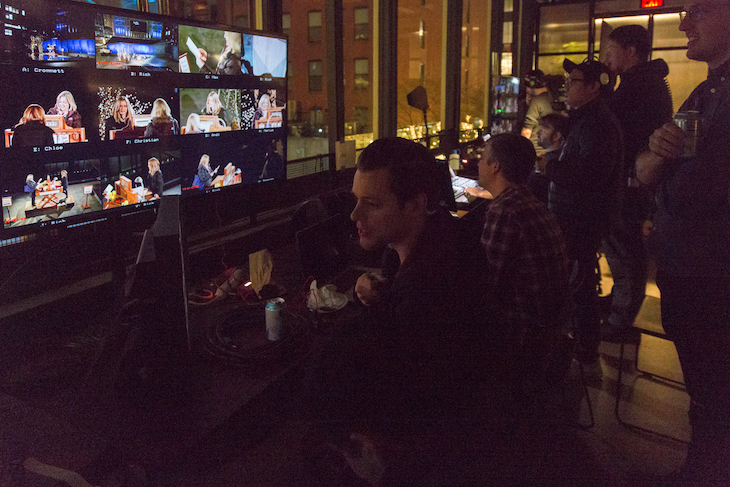 The Improv Everywhere team hid a camera in the table lamp and Elke, from her vantage in the 2nd floor control room, was able to see the cards as they were being written. 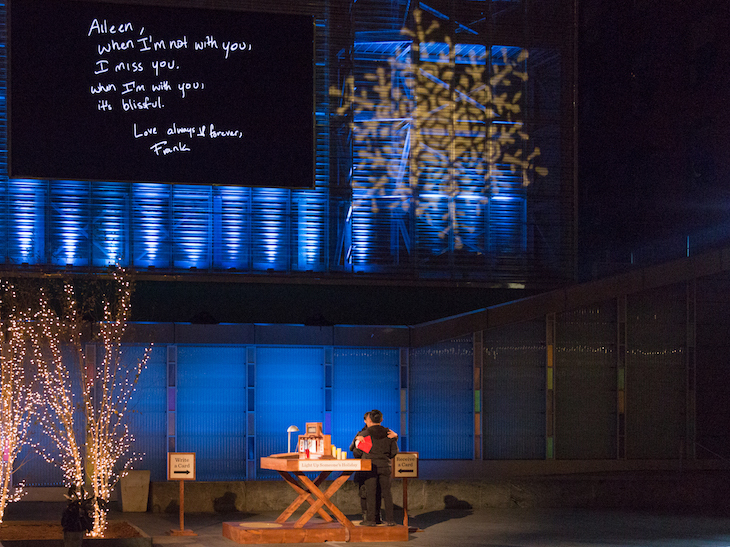 As the message’s recipient opened the card to read it, Elke was able to mimic the writer’s handwriting so that the cards’ messages were written in real time and live-projected onto the 30 foot display. Thank you to Improv Everywhere and Hallmark for making this happen, and getting Drawing Booth involved! 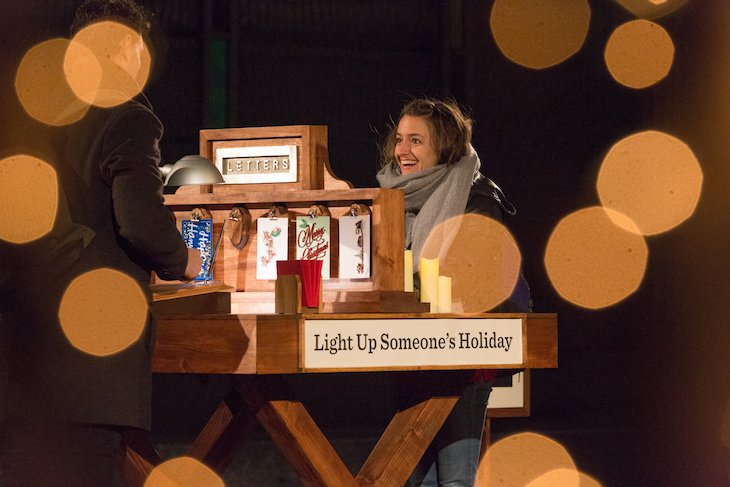 What will you do to light up someone’s holiday this season? Contact us and we’ll help you come up with a unique, personal hand-drawn touch.